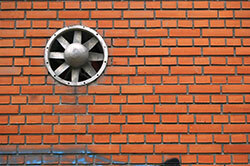 The importance of regular air duct cleaning is well understood by most households and businesses nowadays. It provides safe living and working environments with high indoor air quality. It helps to improve energy efficiency and lowers repair and replacement costs. At the same time, many people are worried about the use of chemicals as part of the process. Find out more about this so that you can evaluate the level of safety for yourself. Chemicals are not used for the removal of dust, dirt, pollen and any kinds of debris pieces which have found their way inside the ducts. Only specific tools are used for both commercial and residential duct cleaning. The specially designed vacuums do an excellent job in sucking out the accumulations which have built up inside. If dirt is more stubborn, a special tool with a scraping brush is used for the removal of the accumulation. Both types of cleaning procedures do not require the use of any chemicals. Chemicals are used as part of HVAC maintenance only when mold is removed from the ducts. In fact, the chemicals are applied after the mold has been removed. Their job is to clean the system and to prevent future growth. For best results, the chemicals are applied after any air duct repair work is done. Repair is often required due to the damage which mold has caused. The chemicals which are used for preventing mold growth in HVAC systems are specifically approved by the U.S. Environmental Protection Agency (EPA). You have to confirm that they are approved precisely for application in such systems. The chemicals cannot cause harm to adults and to the more vulnerable members of the family such as children, pets or seniors. At the same time, they will keep your loved ones protected from this dangerous pathogen.